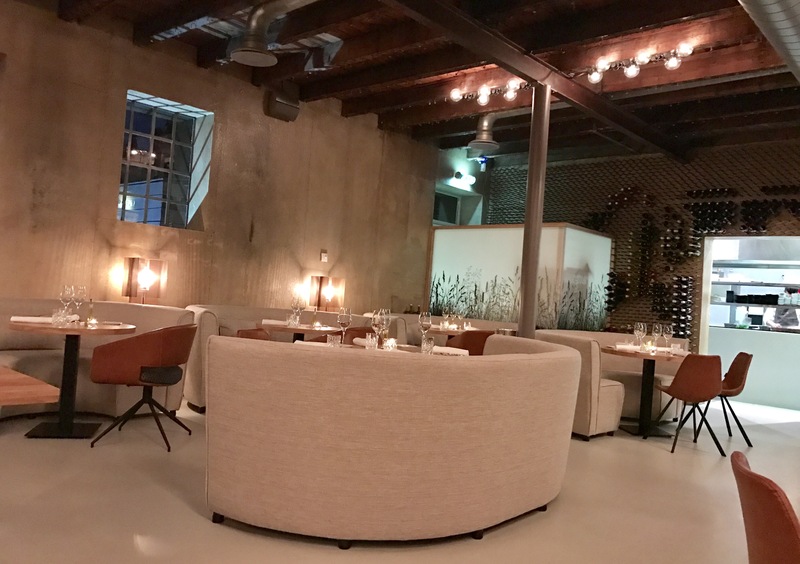 De Kruidfabriek is the new restaurant by Peter Lute, known as one of the judges of the Dutch version of MasterChef. The name is a pun that works in Dutch only, because the restaurant is housed in a former gunpowder factory (kruiTfabriek), whereas now they grown their own herbs in a greenhouse (kruiDfabriek, which looks like a spelling mistake). De Kruidfabriek is located along the Amstel river to the south of Amsterdam (between Amstelveen and Ouderkerk aan de Amstel), which would have been a picturesque location if not for the A9 freeway running right by it. But inside you do not notice this at all. 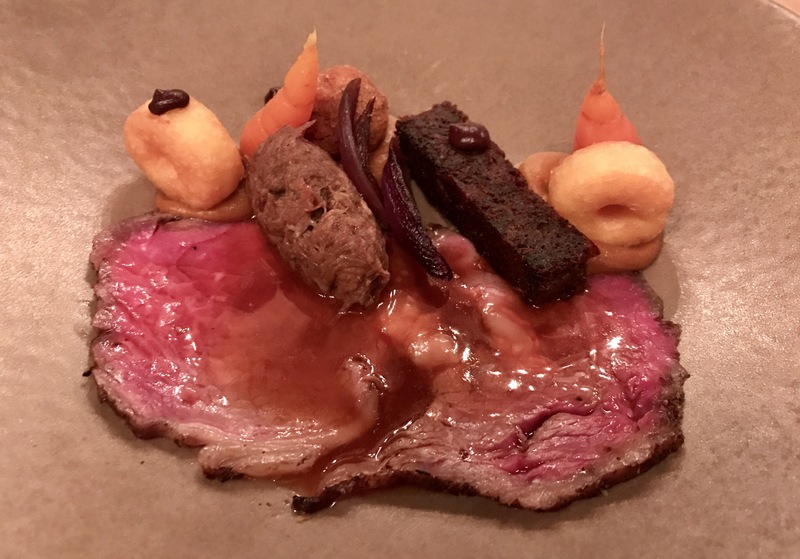 The concept of the menu is somewhat similar to that of Ron’s Gastrobar: 15 dishes to choose from (between 10 and 22 euros) with no distinction between appetizers and main courses. 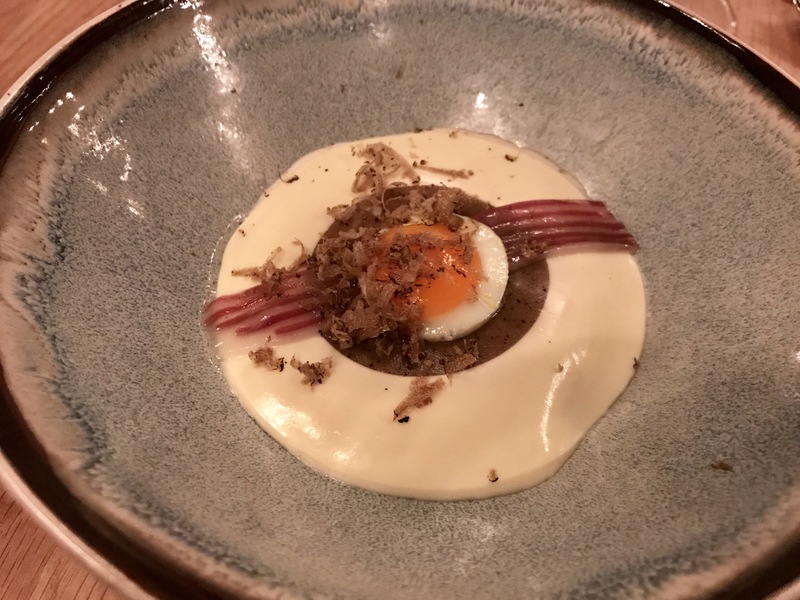 There is also a tasting menu of 4, 5 or 6 courses served as a surprise from the menu for 44, 55 or 66 euros (you can indicate preferences and allergies). Wine pairings are available (6 glasses for 46 euros). 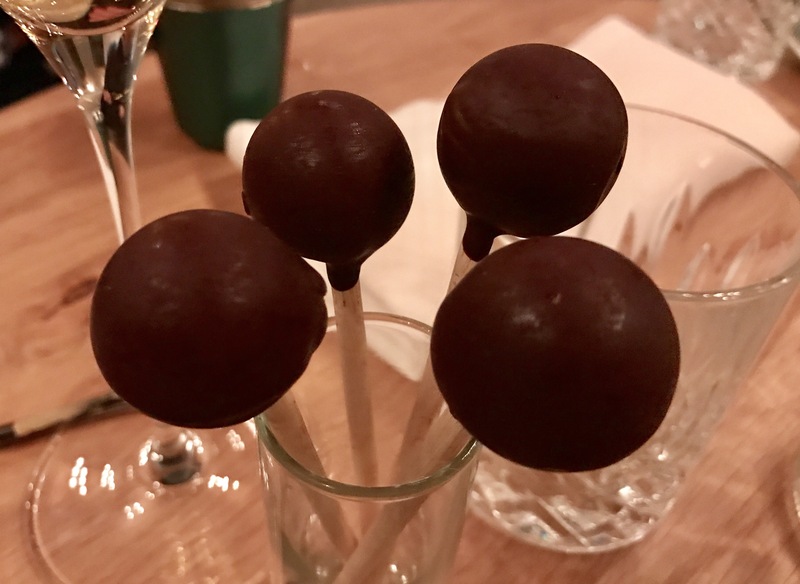 As usual we opted for the tasting menu. The cheeses were nice, and on request served with two different wines (a Pinot Gris from Alsace and a Cadillac). 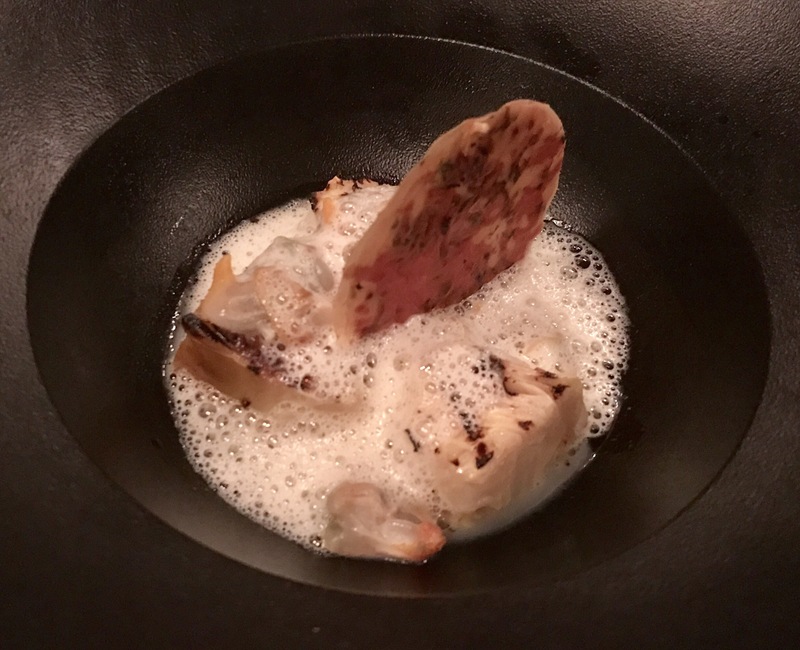 The food was at par or even a notch above what I’ve tasted at restaurants with one Michelin star (which De Kruidfabriek doesn’t have — not yet anyway). 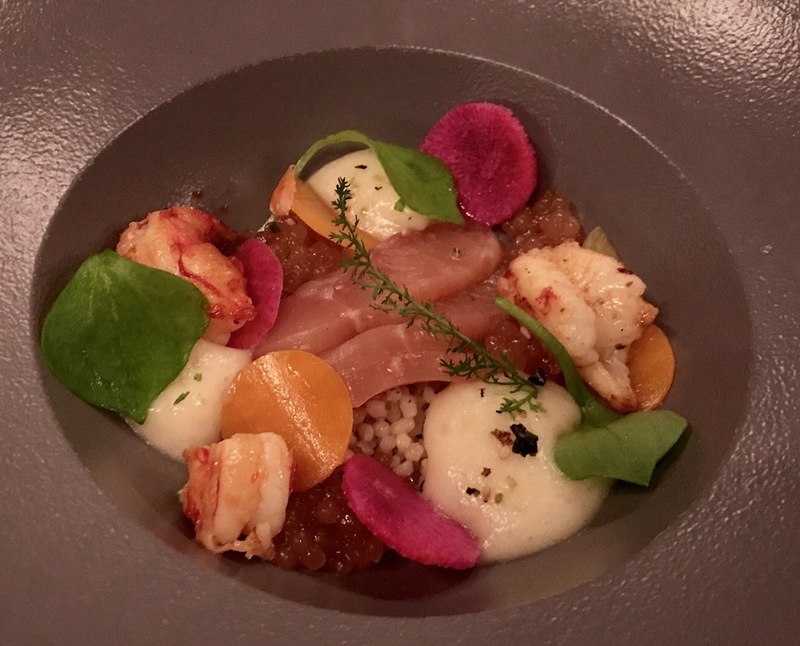 Good flavor combinations, perfectly prepared and beautifully presented without too much ‘fuss’ on the plates. 8.5./10 for the food. The wines were good and paired well with the food, 8.5/10 for that as well. The service was good (8/10), especially the pace was perfect. The prices are very reasonable, so De Kruidfabriek offers very good value for money. We’ll be back. Really liked the look of this: and it is affordable enough and close enough to go more than once a year 🙂 ! Knowledgeable but not over-the-top! Above all loved the look of the ribeye: felt like bringing a fork and knife to the screen!! 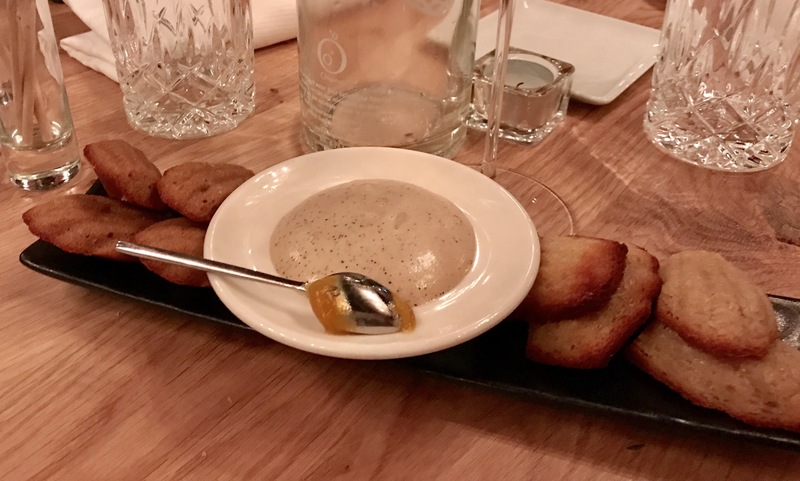 Well, would have served the zabaglione a wee bit more appetizingly . . .